Getting ready for an oil change? Make sure you read the following tips and advice to find out what you need to consider beforehand and why the oil filter is also an important part of every oil change. If you've never changed the oil in your vehicle, it may seem like a scary task to complete, but it is actually not as hard as it seems. However, some may prefer the security of having an expert change it, and that is also perfectly fine. The idea is to make sure it gets done, and that it gets done right. That is why, whether you have it changed in a shop or do-it-yourself, it is best to know some basic information regarding oil changes. Changing the oil is incredibly important because it is what keeps your engine alive. That is why you should put special care into this task. There are two main things you need to worry about when selecting oil for your engine: the quality and the grade or type of oil. Your owner's manual will provide the information to help you select the right oil grade and specifications for the oil that your engine requires. However, when it comes to the quality of the oil you use, this is usually your choice to make. Depending on the importance that you give to engine prevention and protection, you can choose between regular motor oil, synthetic blend, or full synthetic oil. Keep in mind that full synthetic oil always offers more benefits, better protection, and prolongs oil change intervals. AMSOIL synthetic oil is always a better deal because it allows you to save without sacrificing quality for the price. It provides unbeatable coverage and protection for your engine and allows you to prolong oil change intervals by up to 25,000 miles with its Signature Series Synthetic Oil. To learn more about their products, you can check out their online store or click here to contact Mooresville Synthetic Oil directly. Before changing your oil, you need to make sure that you know what will need to be replaced. Consider your manufacturer's recommendations. The owner's manual provides a lot of important information and gives you valuable guidance. Read it to make sure you purchase the right products for your oil change. Also, always consider the recommendations it provides regarding oil change frequency, the type of oil you should use, and how the oil change should be carried out. Once you have reviewed the specifications of your owner's manual regarding the oil you should use, then you need to think about the other components of an oil change. 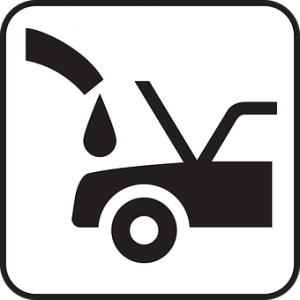 Many make the mistake of thinking that all an oil change requires is draining the oil and adding a new one. However, this is not true at all. There is another very important part that needs to be changed along with the actual oil, the oil filter. The oil filter is in charge of removing impurities and contaminants that make their way into your oil. When the oil absorbs these impurities, the oil filter removes them from the oil so it can continue to circulate and protect the engine without contaminants. Once the oil starts wearing out, so does the oil filter, and both the oil and the oil filter start to lose efficiency in protecting the engine. That is why it isn't enough to change the oil, it is absolutely vital that you replace the oil filter as well. Select an oil filter that is adequate for your engine model and replace it during every oil change. Some oil filters may be cleaned out, but you need to verify that if this is the case. If you forget or neglect to change the oil filter, the new oil you added will not stay clean very long and will need to be changed a lot sooner. You can click here to learn more about the importance of the oil filter and why you need to change it. AMSOIL offers the best products for an effective synthetic oil change. Whether you are looking for the ideal synthetic oil or the right oil filter be sure to check their online store and contact Mooresville Synthetic Oil. They are always ready to help you make the best selection and to answer all your questions. Dial (336) 247-0212 right now.